The anarchist painter is not the one who will create anarchist pictures, but the one who will fight with all his individuality against official conventions. Really eager this morning to get at a painting that is on the easel. It’s at a point where it is making that final transformation that seems to make it come alive and I am excited to see the final result for this piece. 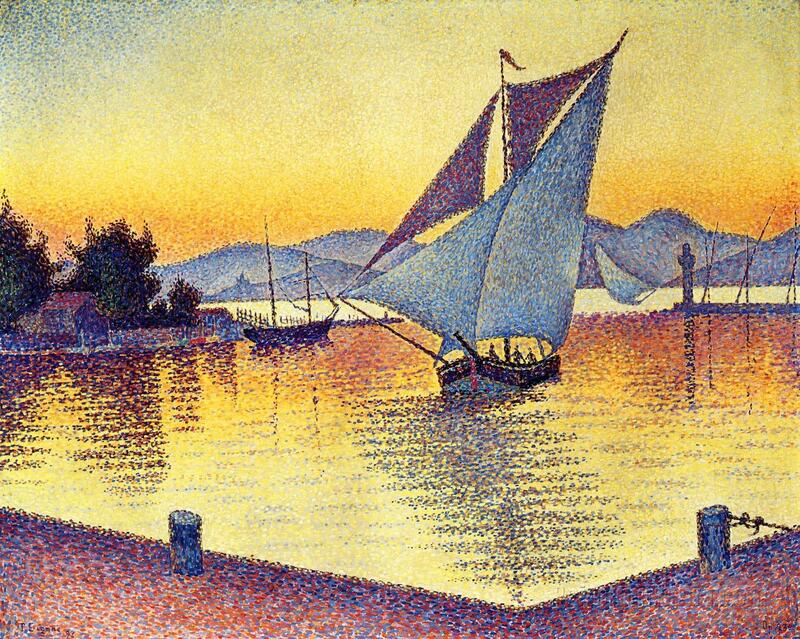 But before I do that I wanted to show a few paintings from the French painter Paul Signac (1863-1935) who, along with Georges Seurat, developed Pointillism and was one of its best known proponents. 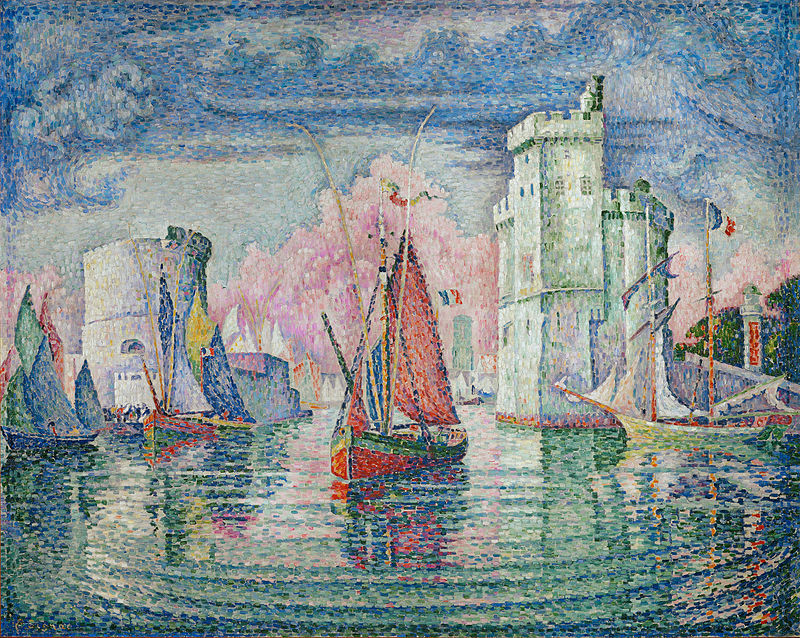 I have admired Signac’s work since I came across it many years ago. Maybe it is in the clarity of his colors that give his works a sense of being in the present. 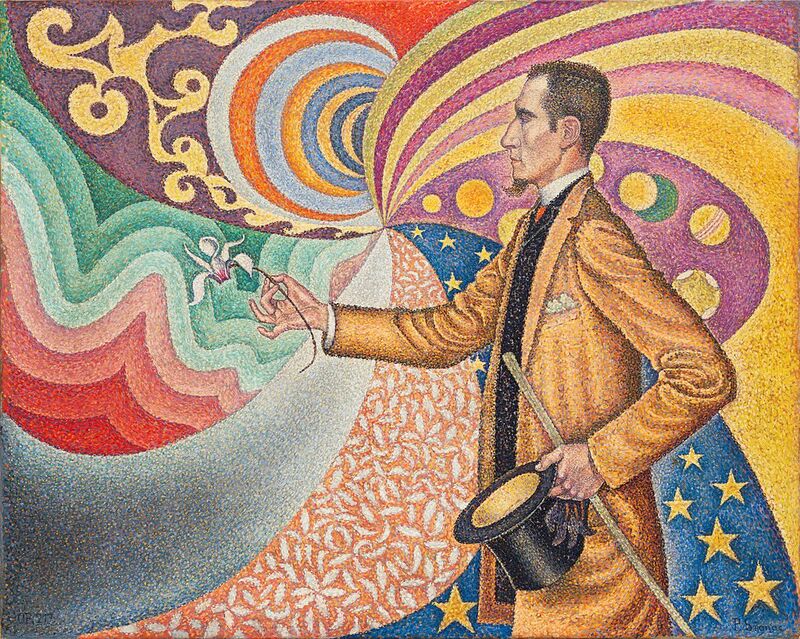 For example, note the vivid color in the painting at the top, Portrait of Felix Feneon. While it was painted in 1890, it feels like it could be from any point in the next 125 years. Another favorite is shown directly below. It is titled In the Time of Harmony. 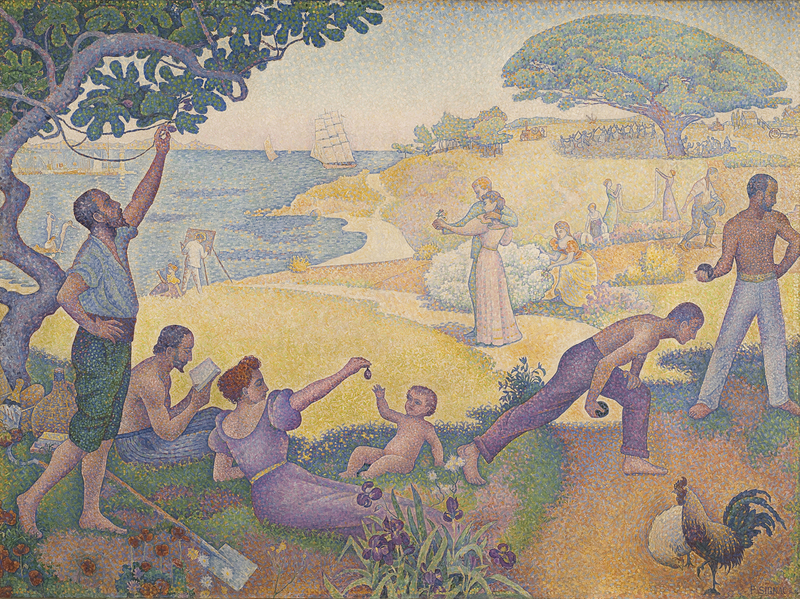 The Golden Age is not in the Past, it is in the Future and was painted 1893-95. It is a massive piece, nearly 10′ by 14′. I think it is a brilliant painting. 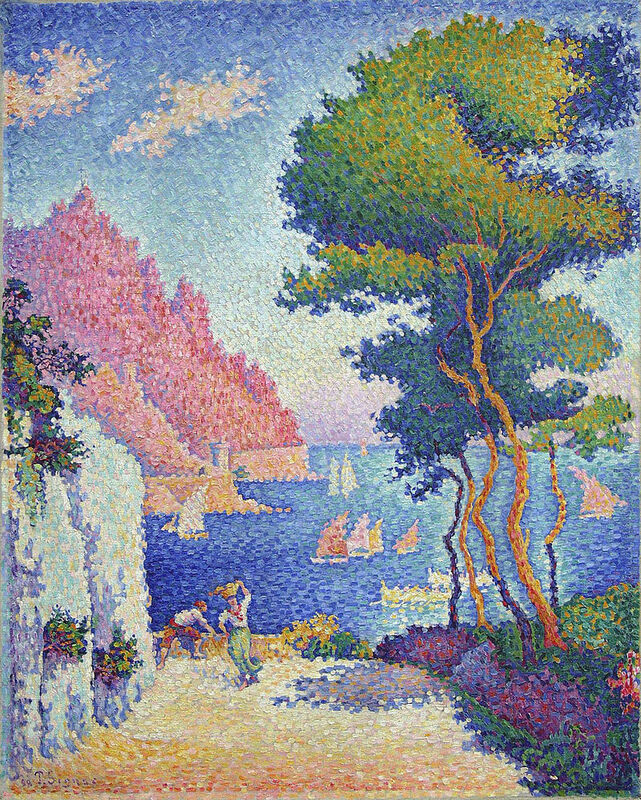 Here are a few more pieces from Signac that have always struck me. 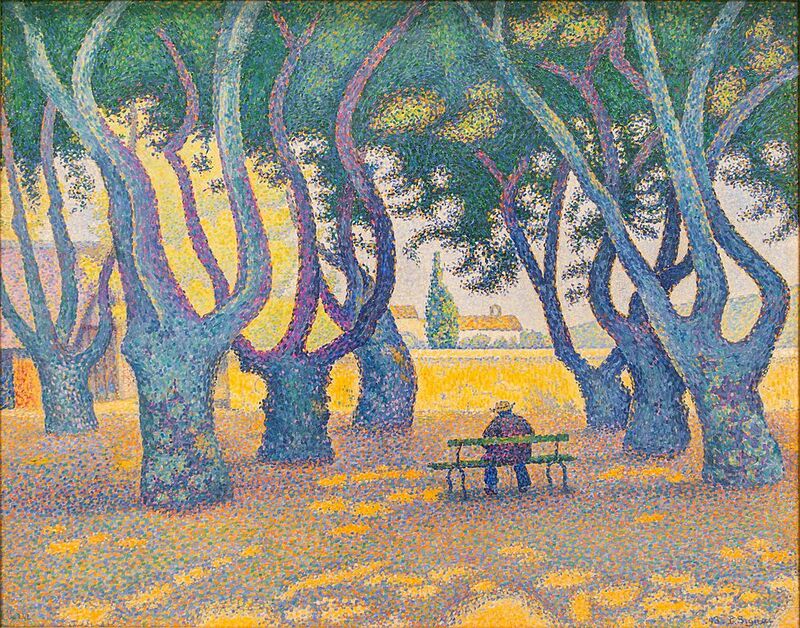 I am not going into his biography– like I said, I have a painting to get at– but I do recommend you take a further look. You can go to his Wikipedia page by clicking here.